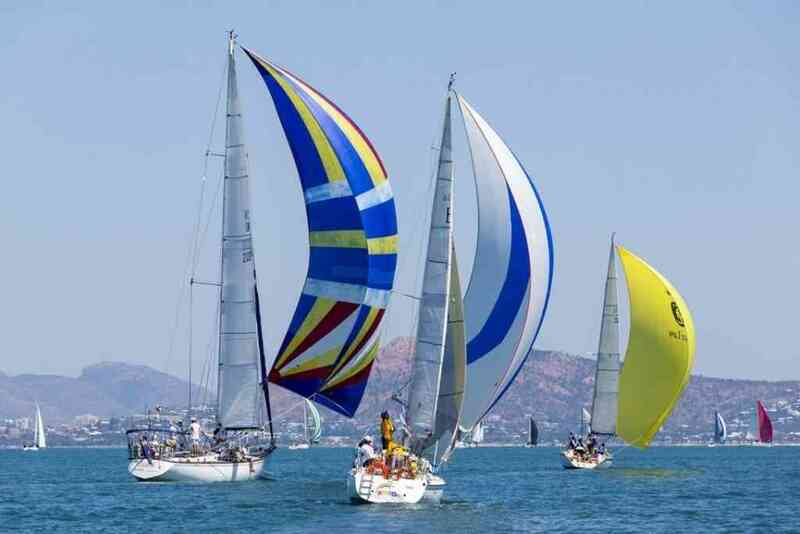 Townsville Yacht Club’s SeaLink Magnetic Island Race Week came to an end this afternoon, after six days of sailing and fun - a sailing event like no other in Australia. Once again the AP set the tone for the morning, as the heat took control and no breeze was to be found, so crews lazed around, enjoying a long breakfast, reading and chatting aboard or sipping coffee at Peppers Blue on Blue resort. The AP was pulled down shortly after midday when on-water officials reported a 4-5 knot easterly which looked set to increase. Coming into the final race, Peter Lowndes’ Lyons 49, Wine Dark Sea, led PHS Division 1 by five points from TYC Commodore, John Stokes Mach 1 and Adrian Walters Shaw 11 Metre Little Nico (NSW). This division sailed six races, one more race that the other divisions. “We’re sweating on whether Mr Thompson (PRO Denis Thompson) will pull down the AP,” he said, referring to their leading position. No sooner had he said it than the AP came down. And sadly their dream finished there when Adrian Walters and his Shaw 11 Metre Little Nico won Race 6 and took the series by four points from Wine Dark Sea with TYC Commodore, John Stokes finishing third with his Bavaria Match 38, Mach 1. “We couldn’t have asked for a better course,” Walters said ashore. There was a lot of reaching in 8-16 knots on a 19 mile course. It’s been a hard but fun week. The harder you go, the more you get punished on handicap, so it’s pleasing to win,” he said. “Mitch and the boys give it their all – we go out early training, practicing sets and gybes etc. 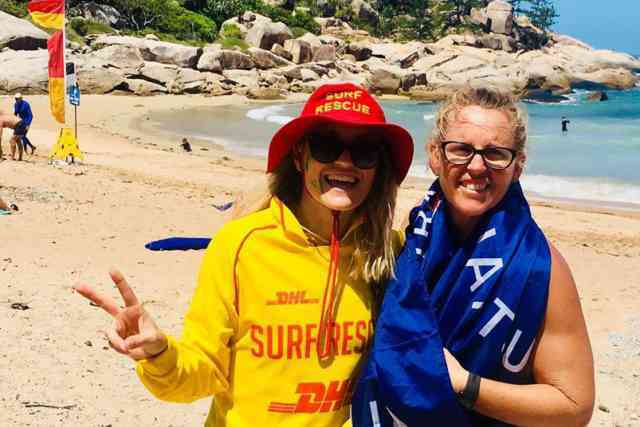 “It’s a fantastic regatta – very laid-back and chilled with a lot of camaraderie,” said the Maggie Race Week first timer. Vanilla 2 and Vanilla 1 from Victoria were, paradoxically, on equal points sharing the Division 2 lead. 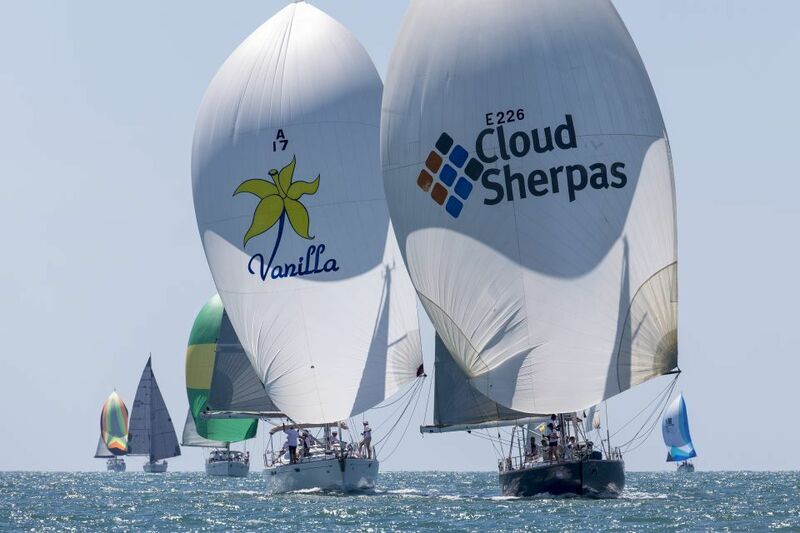 The final race decided it in favour of Vanilla 2, skippered by Doug Shields, her third place today giving her seven point advantage over Vanilla 1, skippered by Steve ‘Harpo’ Harper. Little Miss Sunshine (Sam Pavic) also from Victoria, took third place. Geoff Adams S99, Rampallion (Vic) led Division 3 from Rainbow (Stuart Cocker, Qld) and the elegant Oasis (David Keyes-Tilley, Vic), but it was the fun crew of Librian, owned by Stanley Barnes who stole the show and the top trophy by winning the final race . Librian won by one point from Rampallion, with a further point to Rainbow – 10th and eighth respectively in the last race. In the Non-Spinnaker Division, Lady Virginia (Nicholas Cable, (Vic) was in the top spot going into the final race and won from Lady Katherine (Peter McDonald, Qld) by just a point and Poppy (Michael Phillips, SA) by a further point. Both have been her toughest adversaries all week. “We came all the way from Melbourne, we campaigned her at Hamilton Island and here at Magnetic – it’s our third time here – and we’re thrilled to win,” Cable said. “We’ve had a lot of fun here – a lovely time – we really enjoyed Richard and Karen’s barbecue at Cape Upstart too. We did our very best today (they were third in this race which was won by Lady Katherine, with Chloe (Ian Burns), a local boat third. We had fierce competition. I’ll be 70 in April and feel like I’ve done it all – I can go happy,” he said. 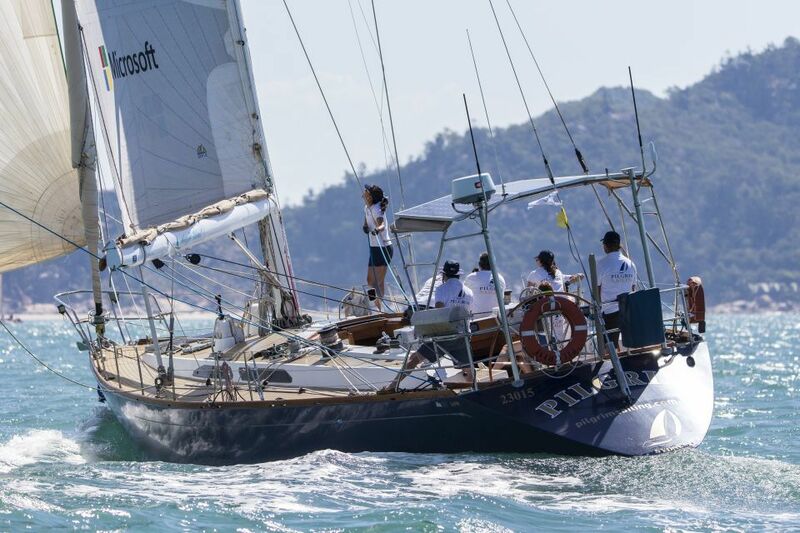 The Multihulls were an all-Townsville affair led by Mistress (Dennis Coleman), with Salacia (Ian Johnson) and The Boat Graeme Etherton, hot on her heels, one point behind on equal points. So Coleman finally got the win he has hankered over for years. Mistress, a Corsair Sprint Mk1, finished third in the final Race 5 to take the overall win by two points to Graeme Etherton’s Crowther Windspeed 32 Cat, The Boat, while Rupert King’s Re1066t jumped up into third after winning Race 5. Coleman, whose crew is a tight-knit affair of eight years, includes son Nathan and Scott McInerney, a dab Contender sailor, who helms the boat. “Actually I’d be happy if we were even second or third – it would be the first time, we always end up fourth,” said Coleman, who fixes machinery in a meatworks by day and works with pizzas by night and has never missed Magnetic Island Race Week. “We always start out well, so when we win, the handicapper nobbles us. Today will be interesting to see how it pans out,” added McInerney as the pair received an SMS to say racing would get underway shortly. On one of their main rivals, Salacia, owner Ian Johnson, has sailed here every year since the event started “and this boat (a Lightwave 38). “We’re a bit slower than the others, but we’ve done OK. I think the handicappers have done a good job with our fleet,” said Johnson who was thinking the weather might be a bit light on for them today. The fleet as a whole benefitted from ideal mid-range breezes on the first two days of SeaLink Magnetic Island Race Week. Day 3 was light but gave those specialists their opportunities, and while an AP started Days 3, 4 and 5, competitors could not complain about those days, because as the racing progressed, so did the breeze. Warm sunshine every day, flat water sailing some days, with a little swell and waves on others. As Ian Johnson and others pointed out – seven degrees in Melbourne, excessive cold gale-force winds in Sydney, snow in Bass Strait and on Mount Wellington in Tasmania and cloudy cold wet days in Adelaide versus the sun, green flat water and tropical setting of Townsville and Magnetic Island. Not to mention the convivial company you find at this regatta. “It’s like the old style regattas where everyone sits around on their boats at the marina chatting and then we’re all together ashore for the prize giving and entertainment,” Johnson said and many others echoed throughout the week. At the official prize giving, the winner of each division will receive a framed Andrea Francolini photo of their boat taken during the week – a special prize that will be appreciated for years to come. The top three in each division will also receive trophies. 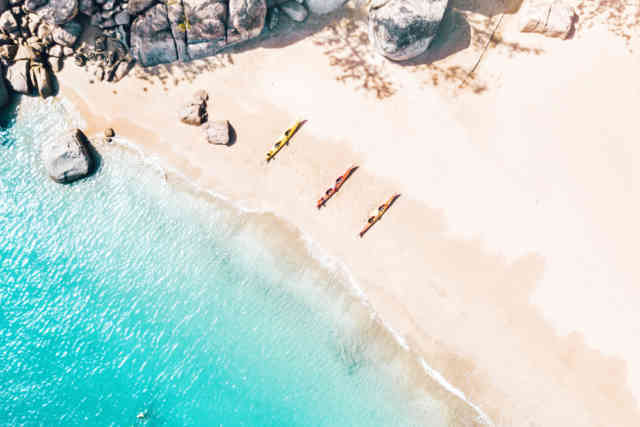 SeaLink launches an exciting new North Queensland Adventure Series for 2018! 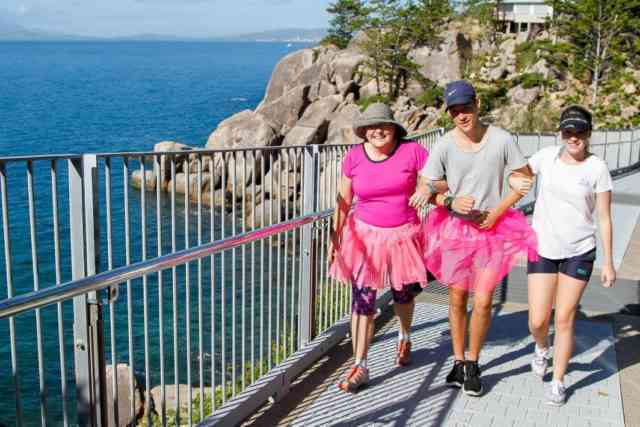 Magnetic Island's popularity grows with record numbers. Having a whale of a time on board with SeaLink! Jam packed tour season this JULY! Why Christmas at the Cape is on everyone’s wish list! Top 5 ways to spot whales near Townsville!